Dr. Ueda attended the 12th Sino-American Technology and Engineering Conference (SATEC) held between 5/13-5/19 in China. 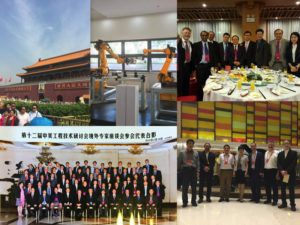 Ten U.S. experts invited through ASME (led by Dr. Schmiedeler with University of Notre Dame) in intelligent robotics visited companies and institutions in Anhui province and attended a meeting in Beijing. The ASME group offered recommendation on Chinese Intelligent Robotics. The event was organized by the State Administration of Foreign Experts Affairs and Ministry of Science and Technology, P. R. China.